I was very lucky to deliver this naked wedding cake to the lovely Smeetham Hall Barn just outside Sudbury in Suffolk for the wedding of Kelly and Jon. 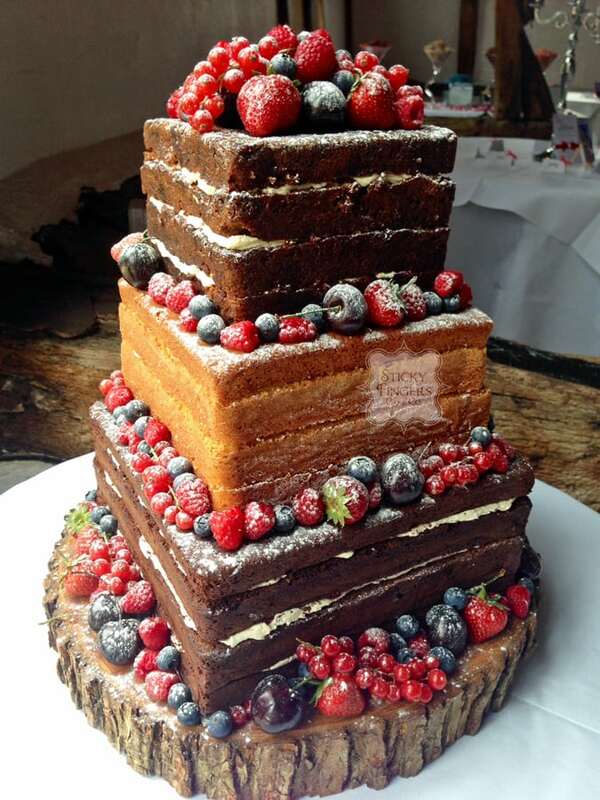 Jon was really keen on having a naked wedding cake but Kelly not so much, so they compromised by having a square cake instead of the more traditional round, which gave them a cleaner, less rustic look. I also made sure that the butter cream and jams weren’t oozing out too much! The flavours they chose were Black Forest for the bottom tier, Madagascan Vanilla for the middle tier and Carrot and Pecan for the top tier. The cake was finished off with a selection of summer berries and a dusting of icing sugar. Wishing them a long and happy life together!